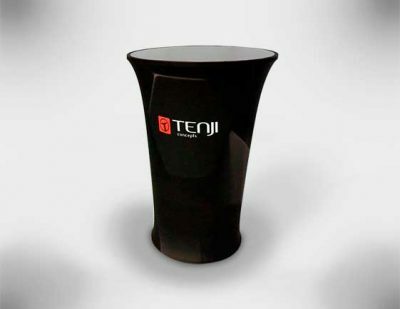 Tenji’s Round Bar Counter is an incredible pop up counter that is perfect for those who want to have somewhere in there booth for people to sit/stand around and chill, while also wanting to show off their brand. 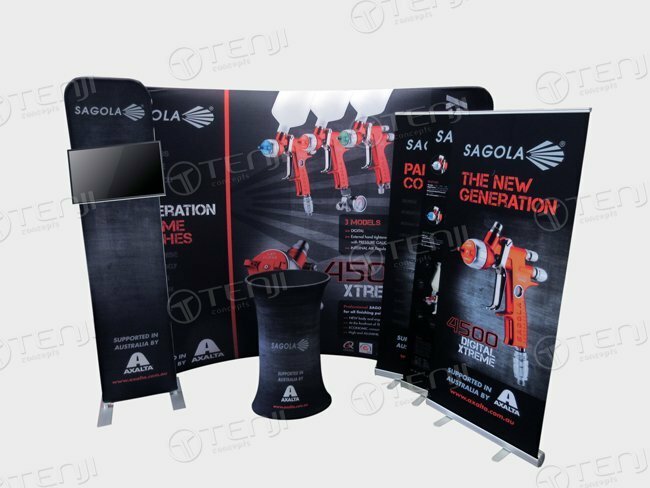 The counter comes with 3 strong yet super lightweight aluminium poles an MDF Counter top, an MDF base and a stretch fabric print. The aluminium poles of the Round Bar Counter uses Tenji’s own screw-in technology to give far greater stability and strength than traditional pop up counters. 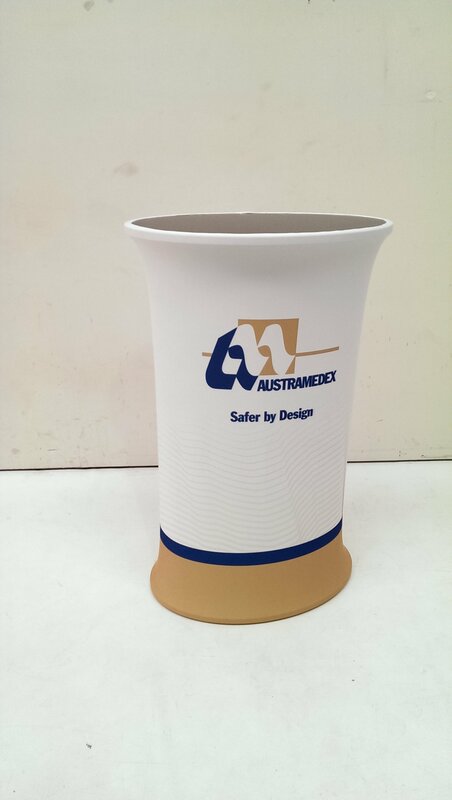 The MDF counter top and the MDF base of the Round Bar Counter both come with specially designed laminated edging. 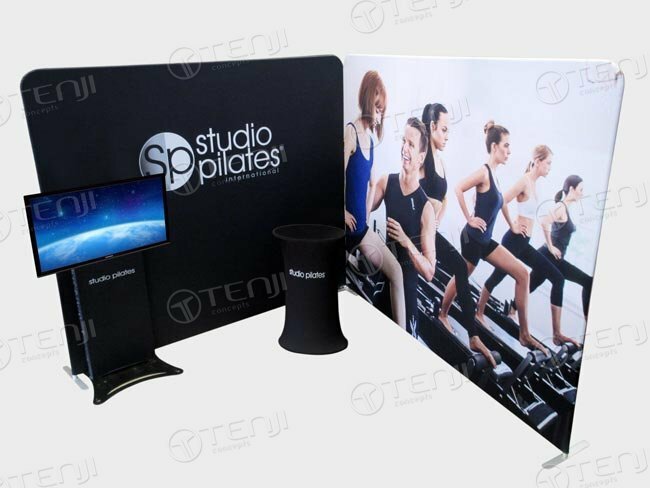 This laminated edging is designed to prevent cracking and other such damage during shipping, whilst also giving the counter an amazing look that you don’t get with other counter displays. 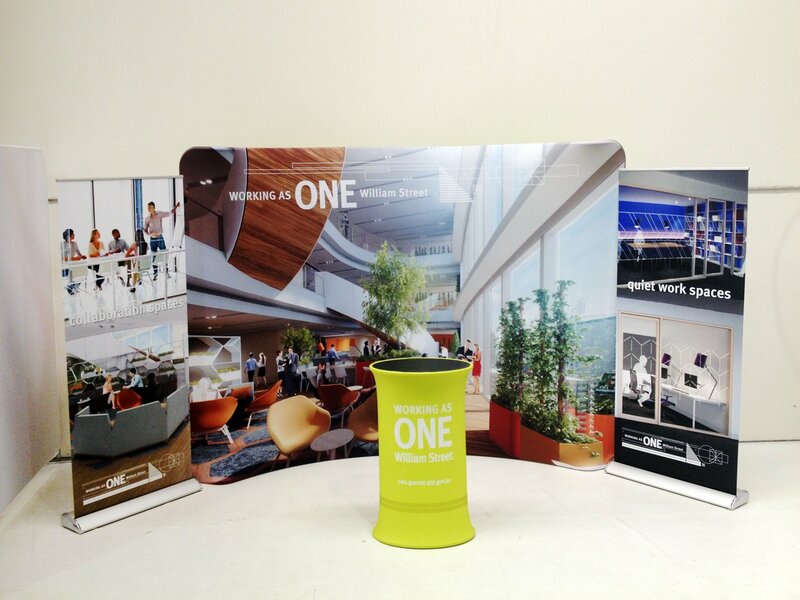 Stretch fabric technology has been utilised in the Round Bar Counter print for the smoothest, most stylish finish possible. 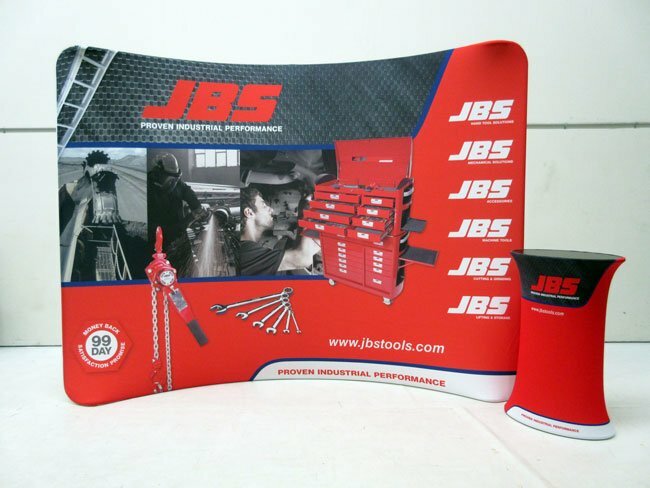 With the fabric printed full height, full width and full colour, you get a print that shows your brand over the whole counter in the brightest colours. 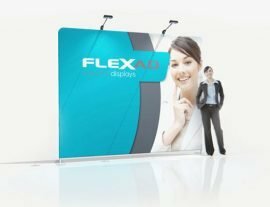 This means that your Counter is guaranteed to stand out and get you noticed. 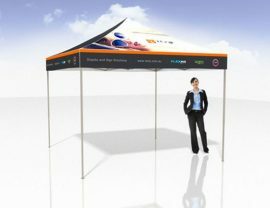 The Round Bar Counter also comes with a zip down the back of the print to store items, and save space within your booth. 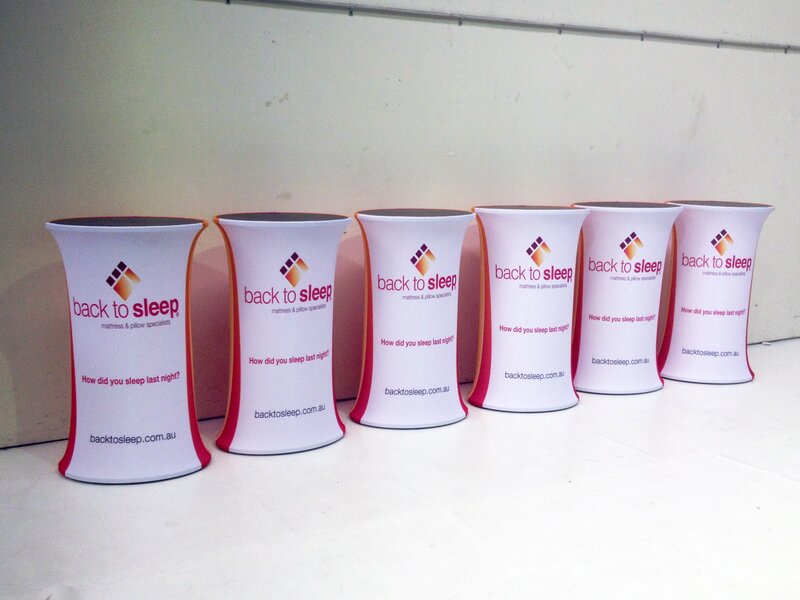 You can use the Round Bar Counter in any bar setting, pop up cafe’s, hang out areas in a trade show, or anywhere that you might want people to chill out. 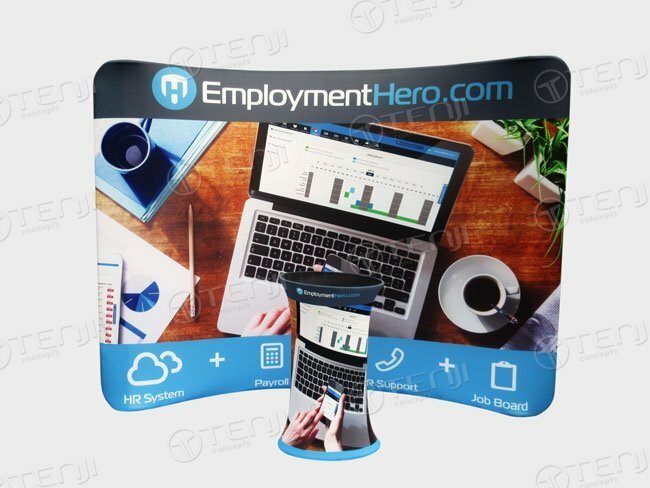 The Round Bar Counter packs down easily and efficiently into a super compact carry bag that can be moved around with no effort, making it one of the easiest pop up counters to use and transport.